About 25 MACC members representing 10 area agencies stopped by to view the Commander 3400 firsthand. 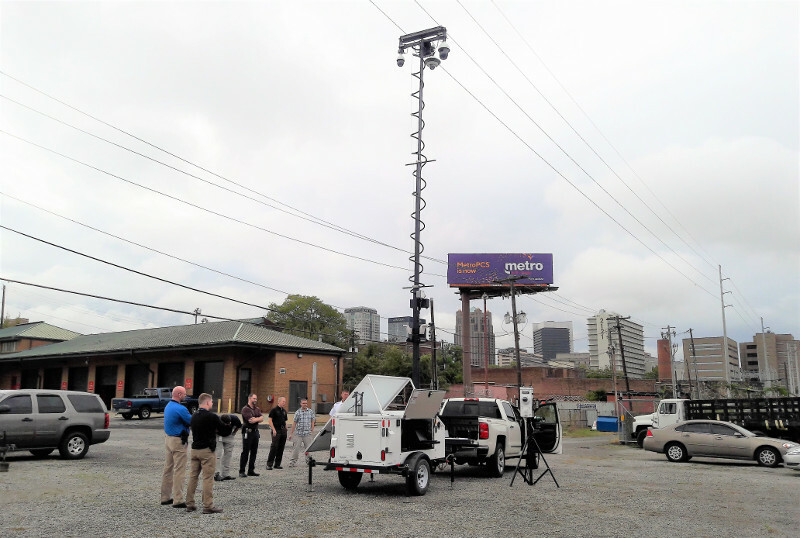 Mobile Pro traveled to Birmingham, Alabama, for a one-day event to demonstrate the Commander 3400 camera trailer and related mobile surveillance equipment for Jefferson County Metro Area Crime Center (MACC) members. The MACC partners with 22 local agencies who work together to gather, evaluate, analyze and distribute information regarding criminal activity in and around the Jefferson County Metropolitan Area. They share cutting edge investigative resources and a state-of-the-art high-tech Video Center in their joint mission to combat crime. Members were impressed with the Commander’s 36’ mast, large 20-gallon fuel tank capacity for extended deployment and overall ease of operation. A popular option discussed throughout the day was Vigilant LPR technology that will be added to the platform.